An Australian political staffer's official request to play Facebook games while she passes the time on the telephone was approved by her boss, but the Speaker of the House says it's not going to happen. Caroline Beinke works for Australian politician Victor Dominello, the Member of Parliament for Ryde in New South Wales. She spends a lot of time on the phone conducting the various sorts of business that keep the wheels of governance turning, and she gets bored. Her solution? 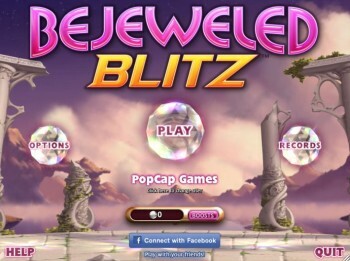 Bejeweled Blitz on Facebook! "When I have long conversations on the phone to constituents it is my version of doodling, a mental chewing gum of sorts," she explained. She filed a request for "extended internet access" with the Department of Parliamentary Services, which was approved by her boss, "provided it is acceptable to the Clerk/Speaker." "My staff work very, very hard, often starting at 7:30 am and working through lunch. So when my staff member simply asked for this request, I said I had no problem with it as long as it was OK with the Speaker," he told the Sydney Morning Herald. "If they are sitting at their desk on hold to a department for 15 minutes, I do not have a problem with it." Unfortunately for Beinke, Richard Torbay, the Speaker of the Legislative Assembly, said the request is most definitely not acceptable. The paperwork hadn't yet crossed his desk but he was clear that it would not be approved if and when it did. "I have not seen this specific request but I can say this: I put filters in place to stop staff accessing inappropriate websites in the Parliament and I do not think we should be paying people to play games," he said. It's not a terribly surprising decision, since "paying people to play games" instantly conjures images of government flunkies drawing hefty civil service salaries while sitting in their offices doing almost nothing of value. But as anyone who's ever had to spend long stretches on hold as part of their day-to-day employment, a little bit of stimulating distraction can go a long way toward preserving short-term sanity, and that's better for everyone. Besides, is playing Bejeweled really any worse than any of the countless other ways people invent to screw in time while they're stuck on the phone?